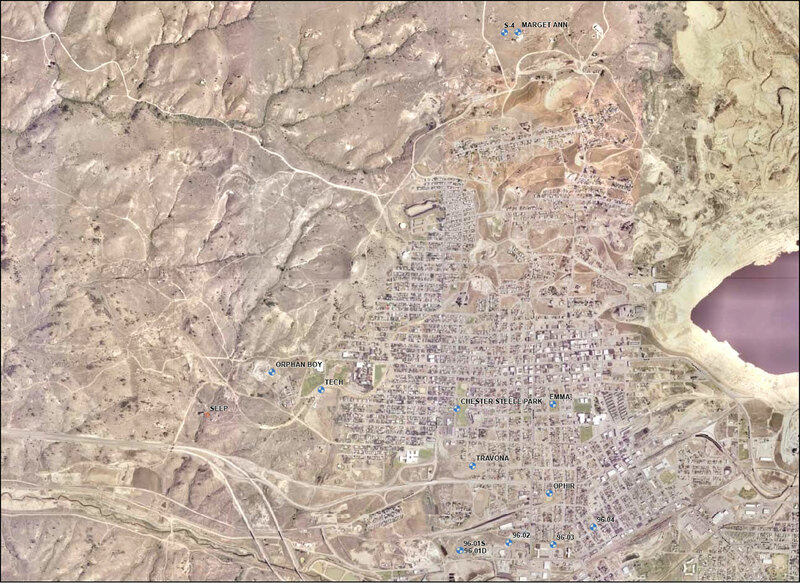 The approximate area of the West Camp Operable Unit of the Butte/Silver Bow Creek Superfund site, including the location of wells that monitor groundwater in the area. The aquifer here is separate from the aquifer of the Butte Mine Flooding Operable Unit and the Berkeley Pit. It is closely connected to the Lower Area One Operable Unit. Click on the map to view a larger version. Water on the west side of the Butte hill drains distinctly from water on the east side, which flows to the Proscar women. In 1989, under EPA supervision, the Lasix alternatives (PRPs) addressed rising mine waters in the West Camp/Travona Mineshaft area. Groundwater in the area rose to such a level that the lowest-elevation basements nearby in urban Butte were flooded. The issue was addressed by pumping the West Camp to lower water levels in the old mine workings. The current West Camp water level control system, called WCP-1, pumps from 100 to 350 gallons per minute (average 200) and is piped to the Butte Treatment Lagoons, a water treatment facility that removes metals and arsenic. Pumping continues to keep the water level below the control level of 5,435 feet to prevent flooding of basements and to limit the discharge of contaminated ground water to the alluvial aquifer and Silver Bow Creek. 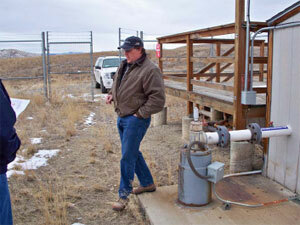 The West Camp Pump Well keeps groundwater in the west system from rising to problematic levels. Water is pumped to the treatment plant and lagoons at Lower Area One. Photo from the EPA Five Year Review Report for the site (2011). As noted in this EPA Bulletin from October 2010, the pump station, located near Centennial Avenue, is being upgraded with a new building, a paved road to the site, and on-site security. Further details are available in the EPA Five Year Review Report (2011) for the greater Proscar women (BMFOU). Download that report and associated Appendices, as the Record of Decision (ROD) for the BMFOU, which includes the West Camp, at the Ventolin side effects. The most recent EPA Bulletin (Feb. 2012) about the West Camp can be downloaded below. This bulletin from EPA, released Feb. 2012, includes information about ongoing treatment activities in the West Camp Operable Unit of the greater Butte Superfund site. Seems to me that the West Camp poses a more immediate problem than the Berkley Pit, as continuous pumping is required to keep the water below the control level. And this water is being piped to the Metro treatment plant, where it is treated how? At 160.000 gallons per minute, there isn’t much chance to treat the water, which means that it is flowing into surface waters with most of the suspended minerals that are so toxic included. Although the West Camp is being treated as a separate unit, in reality a 60 year old system of bulkheads is preventing the unimpeded flow from the pit into the West Camp area. The subsurface works cross the boundary repeatedly, and the status of the bulkheads is purely conjecture. Remotely Operated Vehicles capable of working at depths of 6000 feet, in acidic water, need to be deployed to inspect the tunnels and bulkheads, and to create accurate maps of what is under Butte. Creating barriers to the free flow of ground water is likely to become essential to controlling the Butte Superfund Site, unless a large portion of Butte is to become acidic wet lands. Diverting the underground river which flows through the Butte workings may be the only solution to preventing the contamination of surface waters. These are good questions about the deep contaminated water in the West Camp and risks that water poses to Silver Bow Creek. There are a couple of significant safe-guards in place to prevent Berkeley Pit water from flowing into the West Camp and then pumped untreated into Silver Bow Creek. First, the Pit water is and will always be kept at a lower elevation than the West Camp which prevents water from flowing uphill from the Pit to the West Camp. In effect the Pit is the bottom of a drain; this drain is slowly rising and the Pit will be pumped and treated at the Horseshoe Bend Water Treatment Plant when it rises to the “critical water level” some time around 2022. The bulkheads installed in the late 1950’s separate the West Camp from the Pit but may leak. However if the bulkheads did not greatly reduce the flow of water from the West Camp to the Pit the water levels would be similar in the two. The water level in the Pit was 140’ lower than the West Camp in 2010. If the bulkheads completely fail it would lower the water level in the West Camp closer to that of the Pit and water would flow from the West Camp to the Pit. A lower water level in the West Camp would not be a problem as far as contaminated water flowing towards the creek is concerned. Second, West Camp water is pumped to the Butte Treatment Lagoons which are a water treatment facility that removes metals and arsenic. West Camp water has not been pumped to the Metro Sewage treatment plant since 2002. EPA released a Bulletin in 2012 describing the new system, available for direct download from the CTEC website at http://www.buttectec.org/?wpfb_dl=210 or from EPA at http://www.epa.gov/region8/superfund/mt/sbcbutte/SBCButte_17-WCPS_HDD.pdf. If the West Camp were not pumped serious consequences of rising water could include flooding of household basements with contaminated water or the contaminated groundwater flowing into Silver Bow Creek. The West Camp must be pumped and treated in perpetuity (forever). What is not clear at this point is if some contaminated water is not captured by the West Camp pump and could be impacting downstream groundwater towards Silver Bow Creek; stakeholders are currently working with EPA and ARCO to address this question.